After several years’ absence, though they may have been around (just invisible), I startled one today. Probably not the same one, of course; but a very handsome one. Perhaps even one of the kits seen in this photo from 2014. Let’s hope they make a dent in the rodent population. Who are they you ask? The Grey Foxes. 3 Responses to They’re back! We realized that our resident red fox died/went away: the rabbit population exploded and our veggie garden was routinely eaten. We went searching and found the fox’ remains. 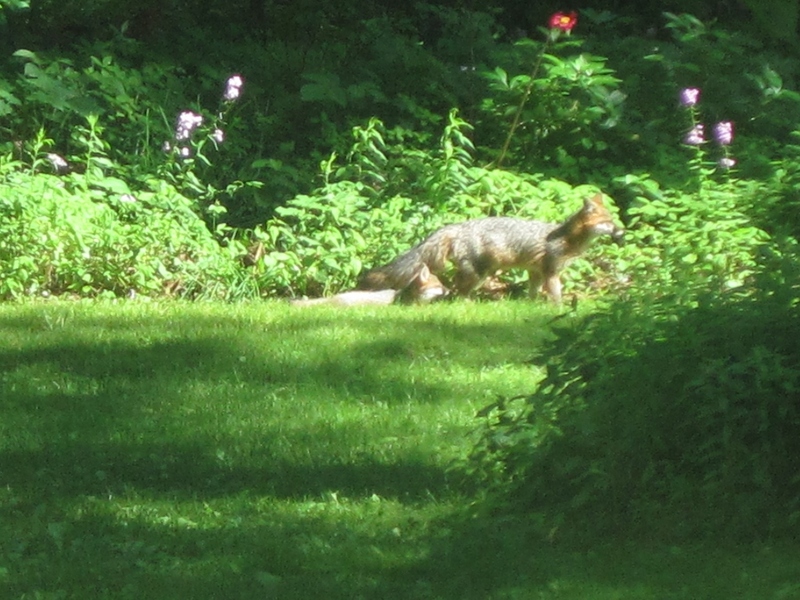 I am hoping that this fox takes on the exploding rodent population here…. Send him/her a message forthwith!